On February 1st, 2010, former two-time NWA World Champion Jack Brisco passed away due to complications following heart surgery. Brisco was raised in Blackwell, Oklahoma with five siblings, including his brother and fellow wrestler, Gerald. Both brothers excelled in several sports, but were exceptional in wrestling. Jack would go on to compete at Oklahoma State University, where in 1965, he became the first-ever Native American winner of NCAA Wrestling National Championship during a dominating junior year. Brisco then wrestled for Championship Wrestling from Florida for several years. His first title there was the NWA Florida Southern Heavyweight Championship, which he won on February 11, 1969 by defeating The Missouri Mauler. Brisco also went to work for the Crocketts in Mid-Atlantic Championship Wrestling. While there, he won the NWA Eastern States Heavyweight Championship twice. Over the years, he would venture to the Carolinas, sprinkled in with his runs in both Florida and Georgia. When Brisco finally returned to Florida, he began teaming with his brother, Gerald (Jerry). On February 16, 1971, the Briscos teamed up to win the NWA Florida Tag Team Championship. Jack also captured the NWA Florida Television Championship on November 27, 1970. During their first run, the Briscos would engage in a series of battles with Dory and Terry Funk, as the two sets of wrestling brothers began a rivalry that would last for over two decades. After many regional titles and dominating tag team wrestling in the south with his brother, Brisco was chosen by The NWA Board of Directors to replace Dory Funk Jr., as the World Champion, after a long-running feud. Funk claimed, however, that he had been in an accident in his truck and was too injured to compete. Instead of Brisco, Funk would end up losing the belt to Harley Race. Brisco and several others within the NWA would claim that the ‘accident’ was concocted by Dory Funk Sr., who didn’t want the title transfer to occur. Funk was a power broker in the pecking order of NWA promoters, and could have used his weight to divert the original plans. His first NWA World Heavyweight wrestling title came when he defeated Harley Race in Houston, TX on July 20, 1973. Once word spread throughout the many territories of the NWA that Jack was the new “Champ,” the young athlete found himself in huge demand across the world. As the new NWA World Heavyweight Champion, Jack wrestled 5 to 6 nights a week defeating the best wrestlers in countries all over the world. However, after 6 months, Jack lost his title to Giant Baba on December of 1974, only to triumph over Baba one week later to regain his reign as champion. After his reigns with the Ten Pounds of Gold, his collection of titles and victories over major stars would continue He won the Memphis version of the NWA Southern Heavyweight Championship by defeating Jerry Lawler and captured the NWA Missouri Heavyweight title from Bob Backlund. Upon his return to the Florida territory, Brisco teamed with his brother to win several more championships, including the NWA Florida Tag Team Championship and the NWA Florida United States Tag Team Championship . During this run in the Sunshine State, they would engage in a great series of matches with the team of Mike Graham and Steve Keirn. In 1981, Brisco won his final Southern Heavyweight Championship by defeating Bobby Jaggers. In 1982, Brisco returned to Mid-Atlantic Championship Wrestling. He regained the NWA Mid-Atlantic title, formerly the same NWA Eastern States Heavyweight Championship he had won years earlier. He would hold that title a cumulative total of six times. Brisco also teamed with his brother to win the Mid-Atlantic version of the NWA World Tag Team Championship three times. Later, in 1985, he would take another shot at re-gaining wrestling’s holy grail, when he wrestled Ric Flair for the NWA championship in Toronto. The Briscos are often remembered by many fans for the tremendous success they had later in Georgia Championship Wrestling, where they won the NWA Georgia Tag Team Championship twice. 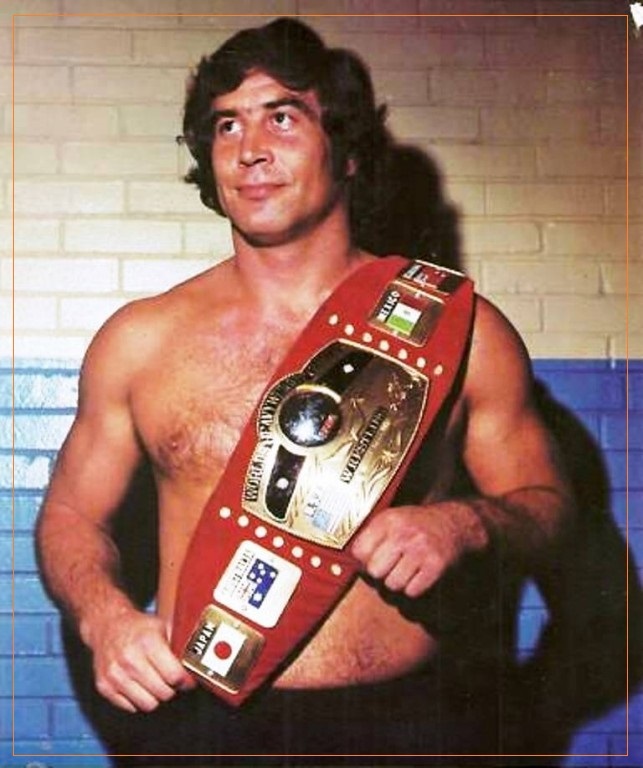 Jack Brisco made even more history in the territory, when he captured the first NWA National Heavyweight Champion by defeating Terry Funk in a tournament final. The Briscos would go on to become minority owners of Georgia Championship Wrestling its worldwide viewership on cable powerhouse, SuperStation WTBS. In 1984, they were a part of a group that sold its shares in GCW to Vince McMahon, who simply wanted the vaunted 6:05 Saturday time slot. The change in programming from “southern ‘rasslin” to the New York style of promoting is often referred to as ‘Black Saturday’, and was a disaster for McMahon. Amidst backlash from loyal viewers of the old show, the WWF owner eventually sold the time to North Carolina promoter Jim Crockett Jr.
Brisco is considered one of the top wrestlers of his era, and one of the greatest pure mat wrestlers of all time. When speaking of the top technicians to ever hold the hallowed Ten Pounds of Gold, his name is always part of the conversation. Brisco suffered from bouts of pneumonia in his later life, due to years of being a heavy smoker. He had undergone multiple treatments leading up to the time of his passing. 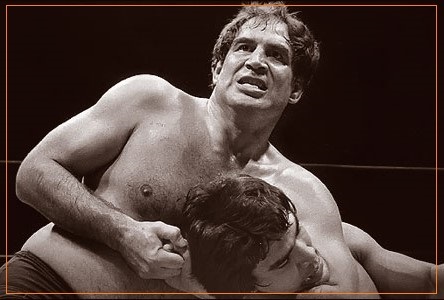 On February 1, 2010, Brisco died at the age of 68 from complications of open heart surgery. He was survived by his wife of over 30 years.